Your first novel, Apostle Rising, has been a tremendous success. experienced since its release last year? online as well as finding new readers. Seeing everyone get older. Would you say that your life has changed in any way? and literary stories. I think the darker stuff appeals more to readers. I have never met a serial killer yet I write about them. To what do you attribute your love of dark subject material? into the human psyche and to explore motivation. something you need to work at? you how they would commit an act. shift between the two forms? different medium and I enjoy both. I see them as natural relatives. making of a good one? the place you write for us. How did you and Black Jackal Books come together? I sent them my manuscript. it a cover you’ve had a lot of input in yourself? 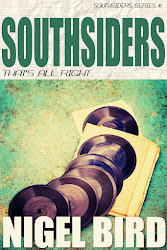 consult me about cover designs, and I suggested the basic concept. giving Castle and Stone another run? And would you now? Do you mean writing a sequel to Apostle Rising? I am writing it. Would you mind adding a little taster from the book? Mr. Glamour is about a designer world full of beautiful wealthy people. It is about the creation of myth. Detective Chief Inspector Flare and Inspector Steele try to catch a killer who has climbed inside their heads. As they investigate they step into a hall of mirrors and find themselves up against a wall of secrecy. The investigation drives Flare and Steele - who are themselves harbouring secrets - to acts of darkness. And the killer is watching everyone. But the real question is who is Mr. Glamour? 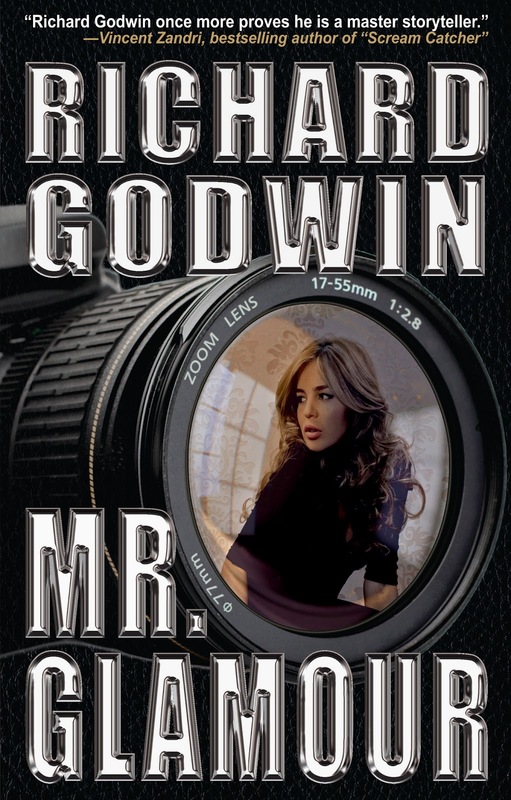 Richard Godwin is a widely published crime and horror writer. 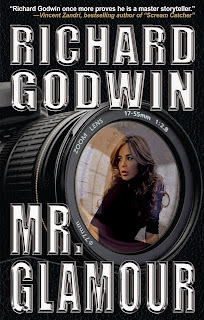 His second novel Mr. Glamour (US and UK) is being published in March 2012 by Black Jackal Books and is available online and at all good retailers. It is about a glamorous world with a predator in its midst. His first crime novel Apostle Rising (US and UK) was published by Black Jackal Books as a paperback on March 10, 2011. In it a serial killer is crucifying politicians and recreating the murder scenes of an old case. It is available online and on the shelves of all good bookstores. It met with excellent reviews worldwide and sold foreign rights throughout Europe. His Chin Wags At The Slaughterhouse are interviews he has conducted with writers and can be found at the blog on his website here http://richardgodwin.net/ where you can also find a full list of his works. Panic Attack - ooooh, what the hell's going on here? where are we? why are they staring? Pen Name - something unusual. when a writer decides that a book doesn't fit in with their main thrust in fiction and creates a new identity so that they can duck away from it if it all goes pear-shaped. Among the current deluge of free books, one that I'm intending to hook for myself, Free Range Institution by Michael Haskins. It's a Mick Murphy Key West Mystery. You can also pick up a copy of a free book by the legend that is Doc Noir. Choke On Your Lies is free all weekend. No way can you be bored now. Oh, this looks like a lot of fun. I’m game. *coughs and clears throat* Today we’re talking to author Karina Kantas. Thank you for taking the time to be here. Congratulations on the release of your latest novel, Huntress. Can you tell us something about it? Huntress is an urban thriller. It’s a novel about a female journalist who goes undercover as a member of a motorcycle club called the Wolves. Sofi is the daughter of Jade and Marcus, two ex members of the Tyrants. After learning that the Wolves killed her uncle and issued the death threat to her parents, she vows revenge. Huntress is your first traditionally published novel after 10 years and four self-published titles. How does it feel? Amazing, and it's a long time coming. Patience is a virtue. Many thanks to all the staff at MMP. I’m hoping I won’t have to self-publish again. Although I love the freedom I have on my book pricing, and marketing strategies, I just don’t have the time anymore. I’m putting eight hours a day into promoting my titles, and I have two small children. This is why I need an agent. To make sure that the time and effort I’m putting into promotion, actually pays off. You’ve been searching for a literary agent for over ten years. Many would have thrown in the towel by now. What keeps you motivated? My books deserve a wider audience and there is a vast marketplace out there for this genre of fiction. I just need to find someone with the same passion as I have, someone who can see the huge potential. I’m not one to give up easily. The reviews and excellent support I get from my international fans motivate me to continue my search for a literary agent. Can you explain the story behind the cover for Huntress? I was lucky enough to be able to work side by side with the publisher’s talented cover artist, Stephen Blundell. I got exactly what I wanted. The Wolf represents the Wolves motorcycle club. The woman is Sofi, and no it’s not a likeness of me (well, not much.) The skyline is of London UK where the book is set. And on the back cover the silver symbol is of the Tyrant’s tag. I felt it was important for that image to be on the book somewhere. And your new novel Road Rage, can you tell us a little about it? Road Rage is my completed urban thriller which I’m currently submitting to agents. The public sees Rage as a clean-cut, wining, sponsored super bike racing team. However, behind the scenes, there is illegal road racing, murder and gun trafficking. Do you think we might see Huntress on the big screen soon? I thought it would make a super movie. Thank you again for the interview and we wish you lots of success with all your books. 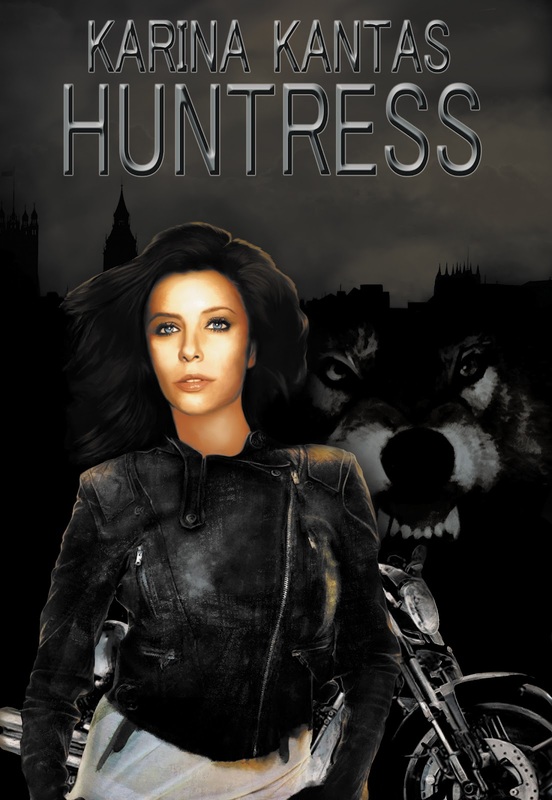 Huntress is available at Amazon in the UK and the US, Kindle and also at Barnes And Noble. 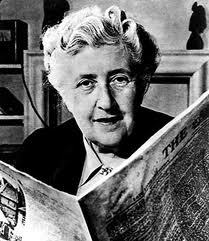 You might find this difficult to believe, but until this weekend I'd never knowingly read an Agatha Christie novel. I was in a youth hostel, had finished the books I'd taken and had to pick from their shelves. Having chosen and then decided against several of the more likely options, I came across 'Lord Edgeware Dies'. On the inside of the cover, it reminded me that 'Agatha Christie' is known throughout the world as the Queen Of Crime'. That was the clincher. It also seemed thin enough for me to get through in a couple of days. 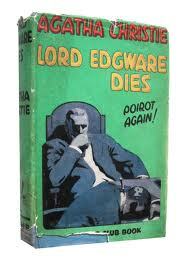 'Lord Edgeware Dies' is a Poirot novel. He's that lovable Belgian sleuth, the one I've seen on the telly so many times and switched over from to avoid the prospect of an ITV interpretation of the early 20th Century. Thought I've never watched the programme, it still gave me a strong image of the man and it seemed to fit pretty well. Poirot and sidekick Hastings happen upon their latest mystery in the land of London theatre. Whilst taking supper at the Ritz later on, they come across a group of actors and it's not long until Jane Wilkinson (beauty, actress and the current Lady Edgeware) has persuaded the pair to join her upstairs at her private suite to discuss a few matters. Having earlier announced that she'd happily kill her husband, she asks Poirot to intervene with Lord Hastings and get him to divorce her so that she can marry even further up on the social ladder. Enter a group of theatre cronies that includes Carlotta Adams, actress of some talent and mimic of the stars, including Lady Edgeware. A brief sketch is given of all the characters and the ball is spinning. It turns out Lord Edgeware has already agreed to divorce. Poirot is perplexed. He's even more perplexed when his lordship is found murdered in his study, double so when Carlotta Adams is found poisoned. Lady Edgeware has been seen entering her husband's home on the night of the murder. Following her statements about being prepared to kill him she's the obvious suspect, only she has a cast-iron alibi. Oh who could it have been? Which socialite could have done the deed? And did I care? I actually did care rather a lot. Enough to sneak the book from the youth hostel at the end of our stay and to grab reads whenever I could. The ending was utterly satisfying, too. It got me wondering about the whodunnit format and about how Agatha had managed to keep me so engrossed. Many of the books I read have a whodinnit element. It's a great way for an author to create a page-turner if they can hook a reader in by making them care enough. I guess a lot of you will recognise that. So what was it that AC did for me in this book, one I'd ordinarily have poo-pooed? First off, the relationship between Poirot and Hastings is a pleasing one. On the one hand there is a need for evidence and a deep desire to understand the psychological elements involved (including the why?) and on the other, an almost naive sidekick who chips in with child-like observations every now and then to give Poirot other angles. Hastings has a more important role in terms of the structure. He's the voice. As such, he can give us all the information that Poirot is prepared to articulate without ever being able to reveal his deeper thoughts. It's a teasing process that works really well. Then there's the desire to be smarter than the author. It's as if we can outsmart the writer by working it all out before the end. Better still, right at the beginning. AC plays on this vanity perfectly. Everyone who turns up to see Poirot (and they usually do) is a suspect. They all have their motives, character flaws, loose mouths. We're given clues about them all. When they were dropped I collected them as if it were me on the trail - one for my pocket that I'll bring out later to prove I was right all along. Now that's where she's really good. She filled my pockets with clues. I had a net full of red-herrings, enough to feed the 5000. In turn, thought Poirot, she showed me that she knew exactly what I'd been thinking, known that I'd picked up on it and rubbed my nose gently in it. Great work. Perhaps it's her modus operandi - build up each individual as if they'd done the deed, and make them everything but. By the way, I racked up five or six suspects in the end; got the whole thing completely wrong. The setting, wealthy classes and glitzy settings is also really entertaining and far from the twee irritation I half-expected. It means the butler could always have done it because practically everyone has servants in some form or other. Telling the vast majority of the story through conversation also helped keep it lively and thrilling. That's difficult to explain. I work on the idea that too much exposition in dialogue is a bad thing. It leaves me wondering if it's exposition she's actually giving thought the dialogue or something else entirely. To answer that, I'll probably have to read more of her books and I fully expect to now that I've dipped in my toe. I even look forward it. All I need to do now is book another break in Arnside and slip the book back onto the shelf - wouldn't want any mustachioued smart-arse asking me where I was on the weekend of the 19th now, would I? Transformations in life happen gradually most of the time. We don’t always see them until the process is over. Such changes are accelerated by sudden events. Traumas and delights both. In ‘The End Of Everything’ we are taken through a series of events where everyone is affected by the gravity of what happens. When teenager Evie disappears, we get to experience the unfolding of events through Lizzie, Evie’s closest friend. Lizzie’s whole being is brought sharply into focus as tragedy and the brooding shadows grow. Her eyes are our filter, sometimes microscope, sometimes binoculars, often a Kaleidoscope. Lizzie positions herself in the middle of the piece, assisting police with their enquiries and, more importantly, Evie’s father Mr Verver with his pain. Mr Verver’s the kind of amazingly wonderful man you might expect to find inhabiting an F Scott Fitzgerald novel. He shines in everything he does, has everything he needs, attracts the local women like a lighthouse might moths. I pictured him in Technicolor, always in sunlight and always with a smile on his face. It’s the way Lizzie sees him, her crush as big as The Ritz, her need for him bigger still. And like Mr Fitzgerald’s creations, there is the visible cracking of the veneer. With all the adults in the piece, Lizzie wonders where the former lives they talk of so freely have gone, why there is no sense of the child and the potential within that child in any of them. The same becomes true of Mr Verver. As Lizzie becomes Mr Verver’s hope and comfort, she takes on the role of investigator, the wheels and cogs of her mind a constant whirl. Slowly she manages to put pieces together after a fashion. With each newly uncovered element, the picture becomes more complex. At each revelation, she is forced to make tricky decisions about what to tell the police and to Mr Verver, how to go about it and when. It produces a delicious pressure that is so beautifully written to make it impossible to speed through the words to get to where you need to get; instead the pain and the tension need to be savoured, phrase by wonderful phrase. I thoroughly enjoyed the book. Felt nourished as a reader, writer and a human being by the end. This is a coming-of-age story to rank up there with the best of them ('Rumblefish' and 'The Outsiders' coming immediately to mind). Lizzie tells all, her hopes and desires as well as her deepest fears and her early probing into life’s sexual adventure. Her style is poetic, finding folds in the smoothest of passages and then folds within them, working and reworking images until they’re perfect. Collages, montages and Kaleidoscopes. There are parallels to be made with this book and ‘The Lovely Bones’. ‘The End Of Everything’ echoes all that is good about ‘Lovely Bones’ whilst avoiding getting tied into knots and bolting on an unsatisfactory ending, making Megan Abbott’s work far superior. I found myself wondering how much of the author is in this. Perhaps this is my own delusion, that to tell so frankly and expose such raw feelings it must stem from experience. The way I ended up looking at it is this: either Megan Abbott has laid herself bare before us and, in doing so, produced one of the most stunning books I’ve read for a good while, or she’s managed to protect herself and her experiences and applied an amazing authorial talent to produce one of the most stunning books I’ve read for a good while; it matters not which is real. Lizzie often describes herself as being full to bursting in one way or another. That’s my main feeling about the book, that as I read I was always full of something – trepidation, wonder, fear, delight – that had me tingling with pleasure and holding my breath all the way through, and always on the verge of bursting. A little plea from me. Should you read this and enjoy it even half as much as I did, check out a wonderful little book called ‘Blue Sky July’. Though the subject matter couldn’t be more different, there’s something in the rhythm and the use of words that I think you’ll also delight in. Tres bien. Kath: So how’s the career going? Not bad actually since I started with the CID; I really love it, most of the time, although some of the men can be a bit of a pain to deal with but I think I’ve got their measure! It’s been interesting but I’m still very shocked at some of the cases I get involved in; wee girls going missing ending up murdered and all sorts of perverts on the prowl just waiting for a chance. Ordinary people wouldn’t believe how prevalent that kind of thing is. Some of the older guys just say society is getting sicker every year. They blame it on the Internet giving the nastier elements in our society the opportunity to find each other easily and communicate. Make me mad. Kath: So how do you deal with that at the end of a particularly gruesome day? Well, it would be easy to just head to Tosco’s and buy a nice wee bottle of red every night you know. I could just kick back in my flat and throw it down my neck until I was out for the count, waking up to find the telly still blaring at me with a mouth like a toilet brush but that would be too easy and predictable. I wouldn’t be the first on the force who went down that road. And anyway, with my health it wouldn’t be a good idea anyway, would it? No, instead of that I give some time to a local group who try to help people with their reading and writing skills. It’s very rewarding. Kath: How did you become involved with that? It was one of the cases at work. A wee chap with Down’s Syndrome had gone missing on his way home from work where he stacked shelves at the supermarket and so there was this big search for him. We finally found him down in Lauderdale Park. A gang of neds had dragged him there and roughed him up pretty badly, leaving him down by the duck pond. Poor guy had no idea where he was or how to get home so he just sat there and waited for somebody to find him. His name’s Tom and he was very frightened and freezing cold. It was a downright shame. Anyway, I got chatting to Tom’s mum and she told me a bit about Tom and how proud she is of him and the group that he goes to and how he’s trying to write a book. She said they were looking for volunteers and that if I was interested I should go along. So I did and I really love it. I don’t help Tom but an older guy called Harry who’s got an amazing imagination and I help him put his ideas down onto paper. We’re writing a science fiction book about the first aliens who make contact with humans. It’s a bit daft but he gets such a kick out of it and I’m incredibly proud of him. Kath: How does this help you Gemma? Well, the strangest thing happened. I met this writer there, she’s actually a Head Teacher of a primary school, but she writes crime stories in her spare time. We got chatting over a cup of tea and blimey, she had a lot of questions she wanted to ask me about my job! We get on really well and so after a few weeks she asked if she could write some stories about me because she thinks I’m a great role model for young girls, you know, the way that I’m making it in a man’s world and how I don’t let men get the better of me and all that. So now as well as helping out at the literacy group, I meet up with her, McDroll is her pen name, bit of a stupid name if you ask me, but anyway, we discuss what I’ve been up to and how I handle the guys I work with and then she goes away and writes a short story. She brings it along when we meet the next week and lets me read it to see if I agree with what she’s written, to see if it’s accurate and then she’ll make any changes that I want! I told her about that time I had to dress up like a prostitute and hang about on the street with these huge white high heels and the long red wig. She thought that was hilarious and she wrote a very funny story about it. Kath: What does she do with these stories? She publishes them and you can buy them on Amazon! You know she changes the details of course and calls me ‘Gemma’ but at the end of the day, the stories are true and I get a real kick out of reading them. Her latest collection is called KICK IT TOGETHER, ten short stories. I’m not in all of them but quite a few. Do you remember that old dear that made the soup? She’s in it; still makes me want to heave! She writes other stuff too. I just read her new one called THE WRONG DELIVERY. I think she’s going to publish it a bit at a time. This first part’s called ‘Corrin’s Eyes.’ It’s a crime story too but quite funny as well. I found it funny anyway; she has a way with words that one! It’s set in Argyll, which is a bit in the back of beyond even in Scotland. This young couple just goes to pieces because they are not very satisfied with their life anymore and things just go from bad to worse to awful! I like that kind of story, makes you feel as if you are going down a roller coaster with no breaks on and you can see the crash coming up ahead but there’s nothing you can do to avoid it. Kath: You seem to have very positive attitude just now. Do you think being able to talk about your experiences helps? I’m sure it does. After the attack, I didn’t think I’d ever be able to do the job I love. With the months of the physiotherapy that I had to get back on my feet and the hours of therapy to build up my confidence again made me think at the time that my life had ended. Being in these stories makes me now feel that I’m doing a really important job and that all the pain and effort has been worthwhile. My injuries were so bad; I might not have been here at all today. Now I just take everything a day at a time and try not to think about the future or the past, but instead just try to enjoy each moment for what it is. There’s none of us know what’s waiting to slam into us round the next corner; I certainly didn’t. But everything’s going so well now and I can actually say that I feel happy. I don’t get the night terrors so often, maybe only a couple of times a month and I can pretty much deal with that myself now. Kath: That’s great; I’m delighted with your progress. I think that’s enough for this session and I don’t think I need to see you for another six months. If you need me before then you can make an appointment but you are doing so well, good on you girl! Thanks, I’m pleased too. Thanks very much. 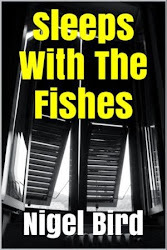 McDroll writes crime fiction with a strong hint of noir and a slosh of humour. She lives with her family in Argyll, Scotland. Her stories have appeared in Shotgun Honey and the Flash Fiction Offensive. 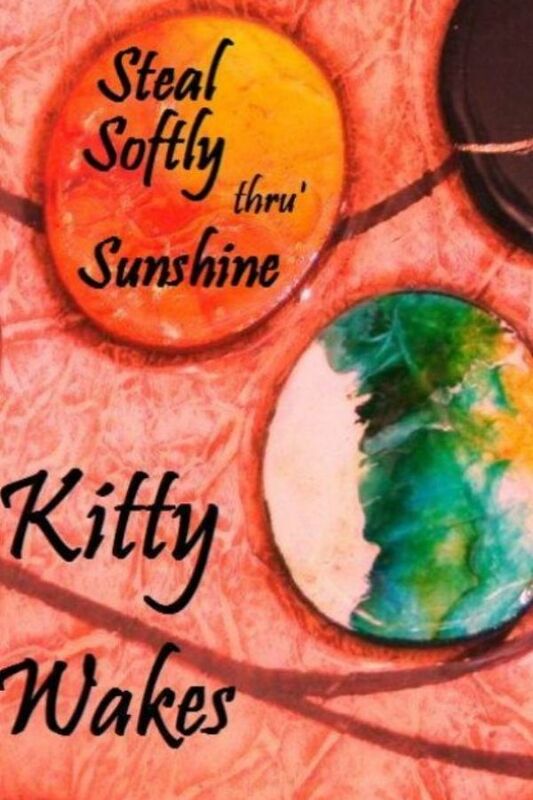 She has been published in the charity anthologies Brit Grit Too, Off the Record and The Lost Children. She has two new indie published books, Kick It Together and The Wrong Delivery. Guilt. It’s a powerful emotion, one that wrestles with heart and mind alike and usually wins with an easy pin-down. Just ask Raskolnikov and Handy White. Cemetery Road opens with memories of the last day Handy spent in Los Angeles. 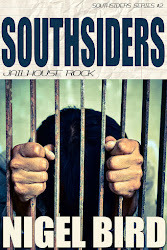 The year was 1979, the smell of tar was overwhelming and Handy and his buddies O’Neal Holden and RJ Burrow are burning the money they’ve stolen from a rather unpleasant drug dealer. It’s a shame they couldn’t have burned their guilt along with it. Instead, the three men go their separate ways to suffer the twisted consequences of their robbery for the next 25 years. When Handy gets news that RJ Burrow has been murdered, he attends the funeral fearing the worst – that what happened when they were young has finally caught up with them and that he’ll be next in line. What follows is an investigation by Handy into the death of his friend. This main strand is threaded in with the recounting of the robbery that set the chain of events in motion. Past and present move on apace, each engaging and impossible to separate. 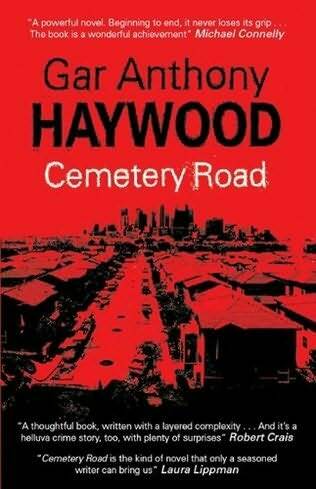 Gar Anthony Haywood does a splendid job with an excellent premise. Like many of the finest, he uses the voice of the story to describe the impact life’s events have upon the way the world unfolds, as well as paying witness to the inevitable movement of progress that is so much bigger than any individual. Each chapter opens superbly, as though the author has treated them with the respect one often sees for the notoriously difficult first line. Within these openings, he injects the profound into the ordinary and in doing so adds an extra weight to the things he is about to describe. It’s a fine book. Well written throughout. The plots run in parallel perfectly well and his handling maintains a variety of tensions and unanswered questions like a juggler who can keep enough balls to supply a tennis match in the air at any one time. I really enjoyed the slow reveals, the confidence with which Haywood allows Handy to meander through LA and the insides of mechanical objects in whichever way he so wishes and the detailed descriptions of the internal and external worlds on show. 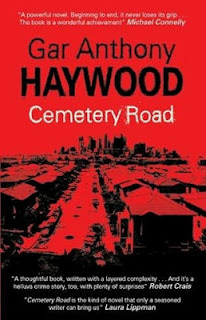 Cemetery Road is a thought-provoking read and a very entertaining one. 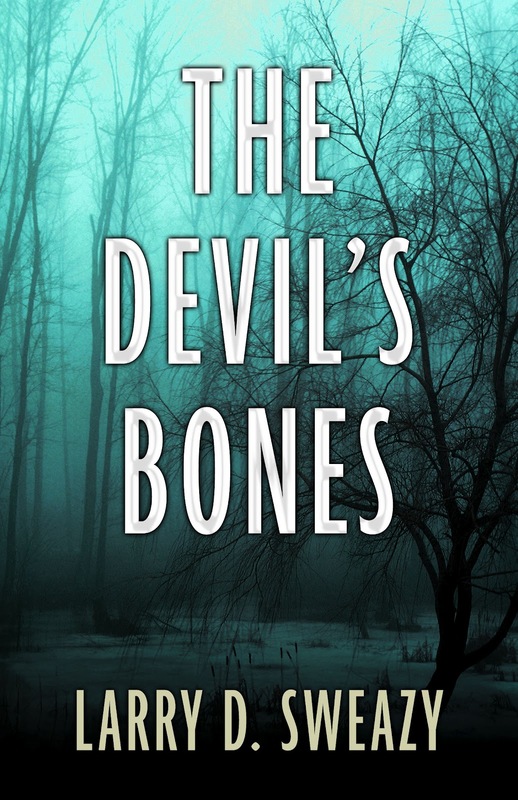 TheDevil’s Bones is your first thriller. Why did you switch from writing westerns to thrillers? Actually, it was the other way around. I first created Jordan McManus, the main character in The Devil’s Bones, in 1993, in a short story. I had written two novels then (that remain unpublished and will remain that way), but I started out by writing short stories, and this was my first foray into mysteries. That short story turned into a novel, which garnered my first agent. 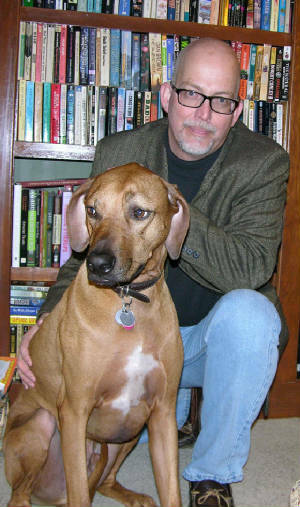 That novel was a runner-up in St. Martin’s Best Traditional Mystery contest. 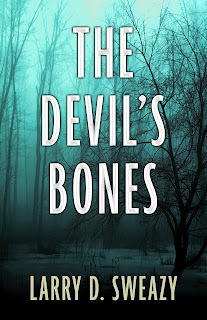 My then-agent wasn’t able to sell that novel, but he while was trying, I was writing the second Jordan McManus novel that eventually became the basis for The Devil’s Bones. I had hoped to write a series, but the novel eventually morphed into a stand-alone. As it was going through the channels of publication, bouncing around New York, I sold the first two books in the Josiah Wolfe series with my second agent. The fifth Josiah Wolfe novel, The Coyote Tracker, comes out in August (2012), and now after almost twenty years, The Devil’s Bones gets its chance in the world, too. How is The Devil’s Bones different from the novel you initially wrote? Bones is entirely different. The subplots are deeper, with multiple POVs (point-of-views), and I would hope my experience as a writer has grown since I wrote that first draft. My first published novel, The Rattlesnake Season, was actually the seventh novel I wrote before I was published. I think I focused more on the story in the latest version—that’s where I’ve learned the most. A good chunk of this book reflects on the migrant society that has been part of our nation’s economy for a long, long time, and that just adds a more immediate aspect to the book that I think was missing beforehand. Why stick with a story for twenty years? Because I believed in it. To me, The Devil’s Bones is just as much a family drama as a thriller, as much a police procedural as a whodunit. It’s set in Indiana, where I live and was raised, so I think it has some authenticity to it that wouldn’t have been there if I would have set it somewhere else—like was suggested to me over and over again. Indiana isn’t glamorous like Alaska or Montana. The beauty is nuanced. There are hills here, no mountains, no ocean, no cruise ships or touristy ideals. So, the setting was off-putting, I think, to the New York Publishers. Besides, I think being stubborn is one the better attributes a writer can have. Persistence is everything. How different is writing thrillers from writing westerns? Not as difficult as you would think. There’s a great deal of research in both genres. It’s just different. With westerns, I read a lot of journals and old newspapers, there are things that I can’t see and touch. With thrillers, there’s research that I can physically come into contact with without trying. The Devil’s Bones is set in a town with cannery as the major employer, so there are migrant worker issues, drug trafficking, and prejudice that’s in the news every day. It’s all around me. For the westerns, I have to dig a little deeper, but I try to introduce modern situations in my Josiah Wolfe novels, and solve them with 19th century solutions. What would advice would you give to yourself as a young writer, just starting out? Don’t be in a hurry to publish. The avenues were different when I was first starting out than they are today. I focused on writing short stories before I started writing novels, and I always started at the top of the markets when I submitted them. For me, the promised land was selling a story to Ellery Queen’s Mystery Magazine, or Boys’ Life. I did, eventually, sell to those magazines, but I went through a lot of rejection slips before it happened—which meant I kept writing and submitting. I served an apprenticeship of sorts. Today, I think that effort can be bypassed, but I’m not sure that’s a good thing. There was a reason I was getting rejection slips, and not checks. I needed to get better. I needed to learn how to tell a story more effectively. Self-publishing might be a viable option, but don’t jump in the pool before you learn how to swim. Outliers by Malcolm Gladwell is one of my favorite books. He makes the case that people who are overnight successes have usually been at it for a long time, 10,000 hours or more. So, a beginning writer should know that they’ll need to put in the time. Even if success comes early, there’s still a lot to learn. I learn something new with every new short story or novel I write. Most of all, though, I would tell myself, and any beginning writer, to have fun. If it’s not fun for the writer, it’s sure isn’t going to be fun for the reader. Simple as that. Have fun. Larry can be found at his website or his blog if you'd like to learn more. Many thanks for coming along, Larry, and good luck with the book. In two months, my debut novel – ABIDE WITH ME – will be officially launched. I wrote it a couple of years ago now, and it's been a long journey. Once I'd finished writing AWM I submitted it to publishers and agents, you know, the usual thing. And I was kicking my heels, checking the post, driving myself mental with expectations of disappointment. But, hey ho, turned out all right in the end, as the late great George Formby might have inaccurately paraphrased himself. But I am not here to talk about ABIDE WITH ME. You see, whilst waiting for news of the book, I began to chance my arm at writing a few short stories. In the last couple of years or so, I've had almost forty published both online and in print. Took me right by surprise, that did. To me, it was just writing down whatever popped into my head, going with it for a while, then placing a full stop at the end. Listening to the voices day and night. Mad, but it seemed to work. With AWM almost ready, I thought I'd clear the decks, jump on board that rocky old driving train that is self-publishing. As pretty much all my stories had been published before, I intended to throw this one into the pot as a freebie, a thank you, if you will. My stories are in so many different places on the net and in books, for my own satisfaction I was looking forward to putting the best of them together in one place. So freebie it was going to be. But then I had this idea. A jab in the side. I'd had stories published in BRIT GRIT TOO and OFF THE RECORD – short story anthologies of the highest order, I'm sure you'll agree. And hats off to PAUL BRAZILL and LUCA VESTE respectively for getting those off the ground. And these two fine publications are for charity. The mark of our small writing community, that is. Remembering BGT and OTR was the jab in my side I needed. Five years ago, my little sister – Lou – was diagnosed with an aggressive form of breast cancer. Ripped us all to the core, it did. She was a twenty-four year old mum to three brilliant boys all under the age of five. Like I said, ripped us to the core. A year later, my mum and my aunt were diagnosed with breast cancer also. Was a hell of a year. Thanks to the incredible courage and fortitude shown by my sister, my mum, and my aunt, and the rest of our family, all three are now rid of this insidious disease. My sister now has a fourth littl'un to look after and having almost completed an English Lit. degree will begin training to be a teacher later this year. Without the unbelievable care, compassion, knowledge, and expertise of the medical professionals that treated my little sister, my mum, and my aunt – from nursing assistants to consultants they were all magnificent - our family would contain nothing but broken people. Blimey. Just got a load of tears in me eyes thinking of that. Sorry. But a massive part of the fight against cancer the world over is the work carried out by charities such as Cancer Research UK and The Breast Cancer Charities of America. They are in the vanguard, the charities. The front line. From research to the support of sufferers and loved ones, their work is immense. And these charities exist purely on donations from good hearts. Without donations they would fold. It's no more complicated than that. So the idea of a freebie went right out the window, and I set about collecting the best of my stories together. My sister-in-law, Rebecca, a talented artist in her own right, offered to paint the cover – and what a cover – and things were ready to go. Added to the fourteen previously published short stories, is a bonus story – THE RISING OF LEN MUNCH – soon to be published in RADGEPACKET VOL. 6 under the title SHADOWS IN THE RAIN. Out of the fourteen other stories, SMALL PRINT is in this years MAMMOTH BOOK OF BEST BRITISH CRIME, alongside such luminaries as Mark Billingham, Val McDirmid, Ken Bruen, and Peter James, as wells as my old muckers Col Bury, Nick Quantrill, and, or course, our Nigel here, and there is also SURF RIDER – a story that has been longlisted for one of this year's Derringer Awards. I know times are hard and money is tight, but if you like your crime and noir with a twist and a quirk and a wayward bent, hopefully you'll enjoy the stories in this collection. Thank you for your time, as they say. If you know of anyone who might be interested in contributing to such a worthy cause, please share this link around. Thank you. UNCLE MILDRED AND OTHER STORIES IS CURRENTLY AVAILABLE TO DOWNLOAD FROM AMAZON UK AND AMAZON US. ALL PROCEEDS FROM THE SALE OF THE BOOK WILL BE DONATED TO CANCER RESEARCH UK, AND THE BREAST CANCER CHARITIES OF AMERICA. Sea Minor - Ian has a style of writing that makes him one of the best authors in the short form I know. I recommend it without reservation. 'Hypothermia' is well named. There’s something chilling about the investigations of Detective Erlendur that runs from the first page right through to the end. This book was my introduction to Erlendur, and I found him to be rather engaging. To try and post reference points to the uninitiated, I feel that he combines elements of Maigret and Columbo; the thoughtful country-boy working tirelessly and skilfully in the big city combined with a terrier-like erosion of the people involved. Throw in the rational, obsessive mind with cold blood passing through the veins and you have a fictional detective of a very high calibre to enjoy. It's the kind of subtlety that helps to make a book worth reading. 'Hypothermia' opens with a suicide. It’s an open-and-shut conclusion as far as the police are concerned, yet Erlendur is uneasy with the case. He wants to know why the tragedy happened, needs to explore the story behind the death. As he does unpeels layers, he uncovers ghosts. There are the ghosts in the mind of the victim, the haunting tones of a series of unsolved missing persons investigations from decades earlier and there’s the ever-present spectre of his dead brother. 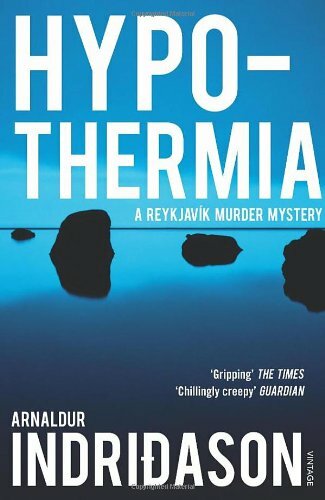 Through visits trawling the stories of the past and the lakes of Iceland, after mystics are consulted and evidence unearthed, the plot-lines are sewn together skilfully so that they have a symbiotic relationship which offers a hugely satisfying read. If I were to have a minor gripe, it would be to suggest that the translation does not always run smoothly. I can’t be sure on this as my Icelandic is non-existent, but I have a feeling that the translation requires one more light edit to present it at its best. It didn’t detract too much from the pleasure of my reading, but some paragraphs were a little wordy and slightly tangled when simpler language or use of a pronoun might just have streamlined things. There's also a fair amount of one of my least favourite styles in the writing of speech, that of the ... to represent pauses or hesitancy. It's a small thing that possibly reflects natural conversation, but natural conversation and good written dialogue often bear little relation. Those three dots might have a place, but when they're overused they do irritate me. Translation and dots aside, this is a tremendous read. The characters and plot are fully formed and each time I put the book down I started looking forward to the next instalment. I'll definitely be getting to know Erlendur better in the future and I'm certainly recommending this to any fans of the police-procedural who enjoy a touch of class. There have been a number of great charity efforts of late from the writing community. 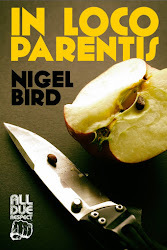 We've had Lost Children, Uncle Mildred, Off The Record, Brit Grit Too and the generous offer of a donation from Pablo D'Stair following his flash fiction competition. Many of them are donating to charities relating to young children. Yesterday I was invited into a Primary 5 class to talk about my writing in the slot I usually spend with a small group on phonics games. I got out a pile of magazines and books to show them and began at my own beginning, a childhood when reading and books didn’t make a lot of sense to me. It reminded me that my last teacher at primary school, Pop Woolly, had re-kindled in me a love of stories by using the BBC radio programmes and by reading great stories aloud to us using his rubber-band voice. As far as I could, I related my experiences to their own school lives. I explained aspects of the writing and re-writing process, about submitting to magazines, cover design and about the new-fangled world of e-publishing (which will no-doubt have changed completely by the time they’re young adults). I could even point out that we'd made an e-book with the 6 year-old class about a year ago. Right the way through, I tried to pass on my enthusiasm for the subject. Let them know how much it means to me. Showed them how little saplings from small acorns grow. If you pop over to this link, you’ll see the responses of some of the children. They asked great questions at the end, the kind of things that wouldn’t be out of place at a major literary festival. I also think they left with a bubbling energy about the subject that might well change their attitude to aspects of their schooling. It could be that I’m the Pop Woolly that some of them need. I certainly hope so. The literacy support offered by the charities I mentioned earlier is invaluable. The building blocks of reading and writing can lead to the creation of fine structures, but can also empower people as they get by in the world. I wonder what you have to offer. If you’re here, it’s likely you’ve a talent for something to do with writing. You may also have an amazing collection of something, be an avid knitter, a scientist in the day job, a plumber, nurse, builder, artist or fundraiser. Whatever you have, maybe you’ll consider popping over to one of your local schools and offering to give a little talk. If you’re enthusiastic and passionate, you can pass that on to the young people of your world and get them to see some of the opportunities that exist out there to which they might so far have been blinded. I’m sure the schools would be happy to have you. It was easy for me. All I had to do was to walk up the stairs and along the corridor. For whatever reasons, making such an offer yourselves might not be easy or comfortable. I don’t post this to preach, I just want you to think about it. Go ahead, punk – make a difference.